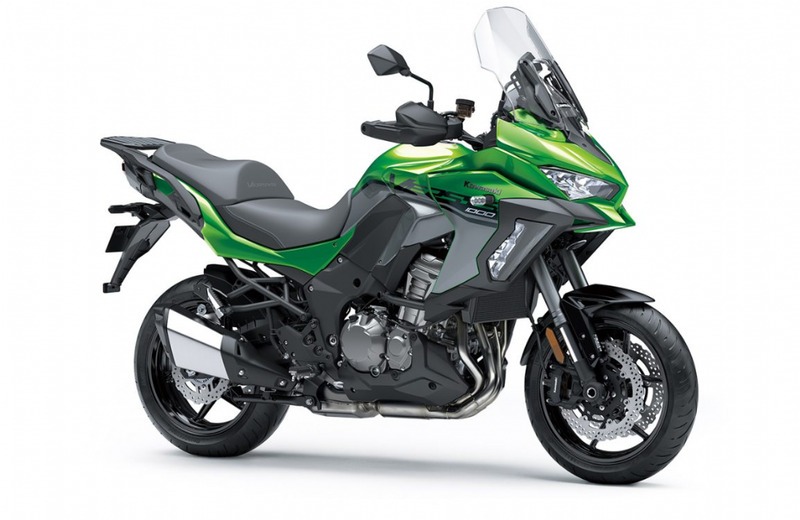 ANY ROAD, ANY TIME the 2019 Kawasaki Versys 1000 SE is the versatile motorcycle that will let a rider answer when they hear ADVENTURE CALLING. The most versatile adventure-style model built for sport riding and touring. 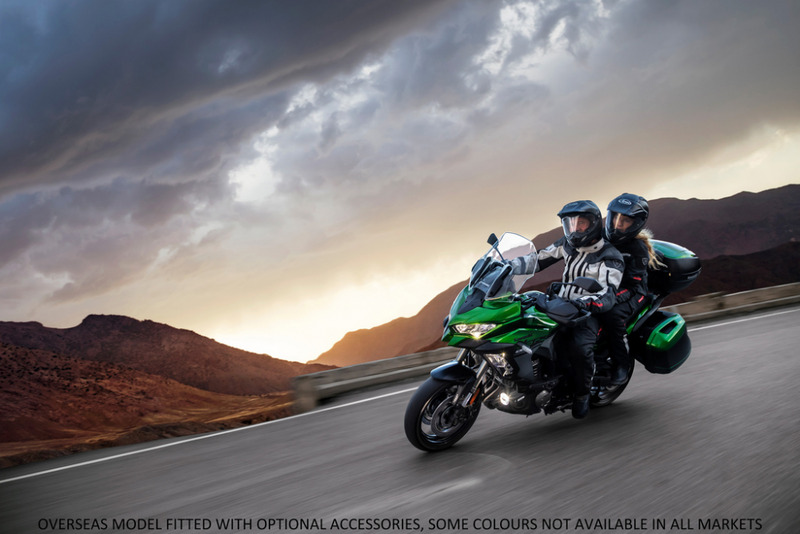 The Versys 1000 SE a premium package of technology & equipment. Standard fitment includes cruise control, hand guards, TFT LCD screen, dual-direction quick-shifter, LED cornering lights, DC outlet, centre stand, adjustable windscreen and finished with Highly Durable Paint. 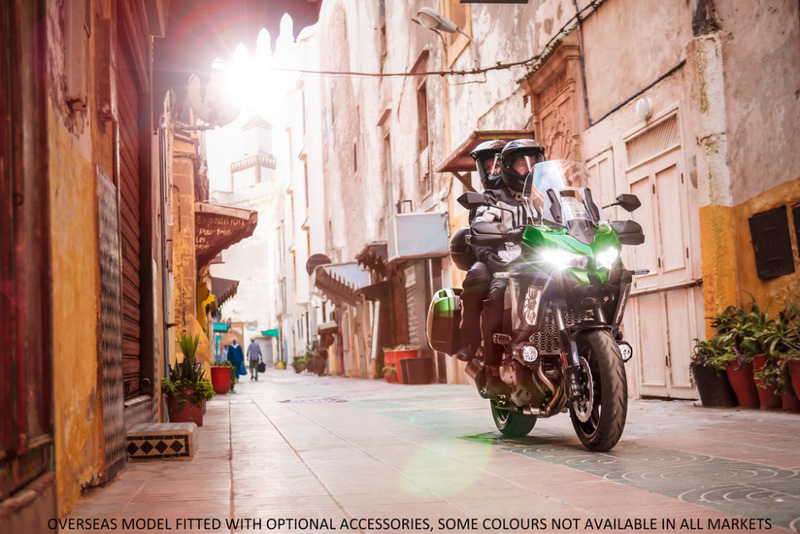 Boasting even greater comfort and versatility, Kawasaki proudly presents a new model designed to offer maximum riding enjoyment across a wide variety of street riding situations like the 2015-2018 Versys 1000 before them. Whether riding solo or two up, around the corner or around the globe, this fun-to-ride road sports bike's combination of a highly responsive In-Line Four engine tuned for flexibility, and a nimble chassis fitted with dynamic suspension will have riders grinning from ear to ear. Inline 4-cylinder 1043 cm3 4-stroke engine - smooth acceleration for the exhilarating ride experience. KQS (Kawasaki Quick Shifter) - clutchless, seamless gear changing; up & down dual-direction. KECS (Kawasaki Electronic Suspension) - class leading, high-level suspension control with a supple, smooth ride. KCMF (Kawasaki Cornering Management Function) - using a Bocsh IMU to monitor, enhance & adjust performance. Push the button and cruise without worry - Electronic Cruise Control. Absorb information easily in the cockpit of the Versys 1000 SE on the TFT LCD instrument panel. Highly Durable Paint - light scuffs and scratches will self repair (with time and warmth). A premium finish. KTRC (Kawasaki Traction Contol) - works in combination with KIBS & KCMF to assist the rider. Light clutch feel and enhanced gear changing with the Assist & Slipper Clutch. Rideology The App - smartphone connectivity. 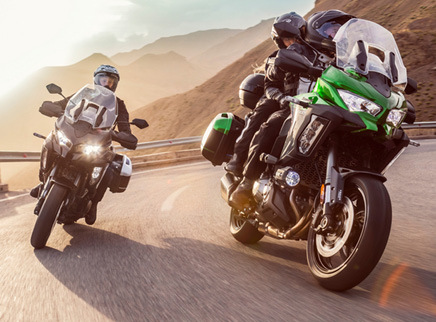 Ever since our first motorcycle engine in 1950, Kawasaki has been continually pursuing new technologies in the creation of our high-performance engines. 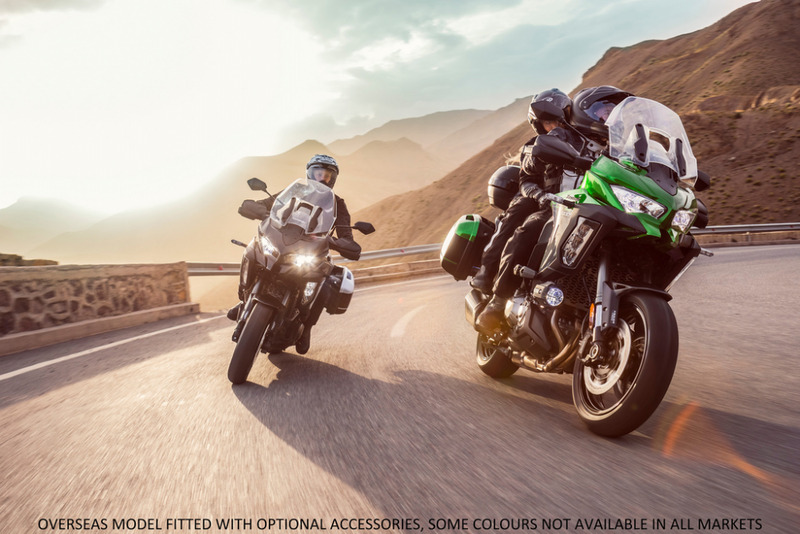 Today, our models are filled with numerous original Kawasaki technological features that have evolved over our long history. 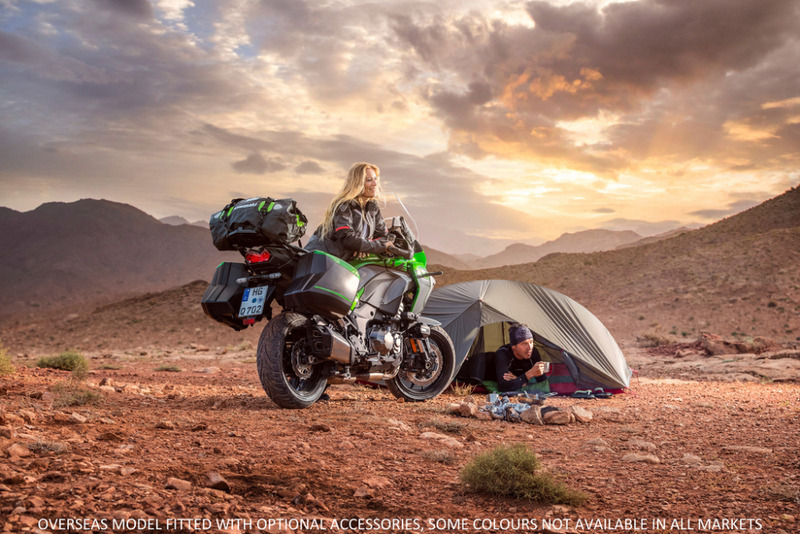 Smartphone connectivity contributes to an enhanced motorcycling experience by enabling riders to connect to their motorcycle wirelessly. Clever technology enables riders to connect to their motorcycle wirelessly. Using the smartphone application "RIDEOLOGY THE APP," a number of instrument functions can be accessed, contributing to an enhanced motorcycling experience. Vehicle information (such as the odometer, fuel gauge, maintenance schedule, etc) can be viewed on the smartphone. Riding logs (varies by model, but may include GPS route, gear position, rpm, and other information) can be viewed on the smartphone. When connected, telephone (call, mail) notices are displayed on the instrument panel. Riders can also make changes to their motorcycles instrument display settings (preferred units, clock and date setting, etc) via the smartphone. And on certain models, it is even possible to check and adjust vehicle settings (such as Rider Mode, electronic rider support features, and payload settings) using the smartphone. Engine Type In-line 4-cylinder, liquid- cooled.